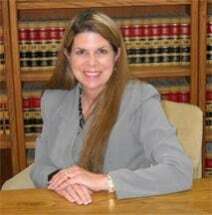 Janet Cervantes earned her law degree from Pepperdine University School of Law, in Malibu, California. Additionally, she obtained her certificate in Alternative Dispute Resolution from the Straus Institute for Dispute Resolution, and received a CALI Excellence for the Future Award. Ms. Cervantes obtained her Bachelor of Arts in Criminal Justice from California State University, San Bernardino, graduating with University and Departmental honors. Prior to working at KSA, Ms. Cervantes prosecuted and defended insurance companies, represented homeowner associations, and litigated elder abuse. Additionally, Ms. Cervantes has obtained million dollar verdicts and settlements in construction defect litigation. Ms. Cervantes has also worked as Mediator to assist litigating parties to amicably resolve their disputes. Before she began practicing law, Ms. Cervantes spent seventeen years as an insurance representative and agent in Riverside, California. She is an alumna member of Zeta Tau Alpha-National Fraternity.